To clear up the confusing array of USAF units, PACAF formed new ones without expanding manpower authorizations. 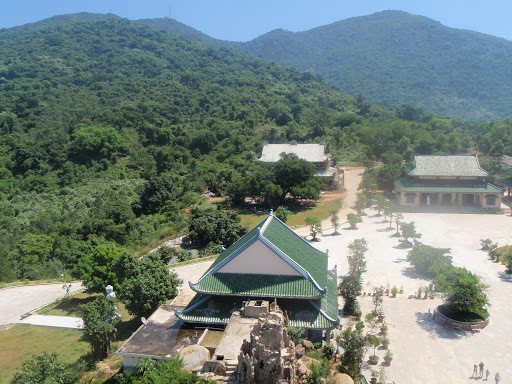 At Da Nang trekking , the 23d Air Base Group was created to organize the USAF advisory units stationed there. The last of the rotational F-100 squadrons were moved out by mid-1965, with Da Nang Air Base being programmed to receive the new Tactical Air Command F-4C Phantom II tactical fighter which was by then in full production by McDonnell aircraft in St. Louis, Missouri. On August 19, 1961, U.S. President John F. Kennedy approved a long-range radar facility to be sited near Da Nang to observe and report Soviet flights across the Laotian border. On September 11, 1961 the deployment of a mobile combat radar system began from the 507th Tactical Control Group at Shaw Air Force Base, South Carolina. On June 15, 1962 personnel of project Mule Train arrived at Da Nang, operating two Fairchild C-123 Providers. These C-123s delivered supplies to distant outposts established by the Army Special Forces along the border with Laos, and to drop South Vietnamese parachute troops in operations against the Viet Cong. They were designated Tactical Air Force Transport Squadron Provisional-2. By early 1963, Okinawa-based Marine Aircraft Group 16 (MAG-16) had established a satellite base at Da Nang, including a squadron of UH-34D troop transport helicopters, O1-E light aerial reconnaissance aircraft and support personnel, including a 30-man security platoon from the 3rd Marine Division on Okinawa. In an operation code named “Shufly,” the Marines ferried ARVN troops on combat operations, evacuated the wounded, helped keep supplies flowing to ARVN units in the field as well as Special Forces outposts in the rugged mountains along the Laotian border, and provided an air search-and-rescue capability in I Corps region of Vietnam well into 1964. Humanitarian efforts were also part of the Marines’ mission, including medical clinics by U.S. Navy doctors in remote villages and Christmas parties for Da Nang children orphaned by the war. On Oct. 8, 1963, tragedy struck MAG-16 when nine Marines, a Navy doctor and two Navy corpsmen were killed when their helicopters encountered hostile fire and crashed in rugged mountains some 45 miles southwest of Da Nang. The two Marine choppers had been trying, at dusk, to locate and rescue a U. S. Air Force pilot and his Vietnamese observer, whose aircraft reportedly had gone down on a bombing run that afternoon. The names of the 12 Marines and Navy personnel, as well as the Air Force pilot, are among those on the first panel on the Vietnam Veterans Memorial Wall in Washington, D.C. The success of project Farm Gate and the Vietnamese AD-6s at Bien Hoa Air Base led to an expansion of the mission. This success eventually moved the SVNAF 1st Fighter Squadron to stage two AD-6s at Da Nang, flown by American pilots during 1962. During April 1963 the arrival of the 777th Troop Carrier Squadron from the 464th TCW (Pope AFB, North Carolina) with sixteen C-123s augmented the airlift of the twenty-nine C-123s at Tan Son Nhut Air Base to support the US Special Forces in Vietnam. By June Military Assistance Command Vietnam (MACV) had 16,652 people, 4,790 of them Air Force. On the 28th, United States Secretary of Defense McNamara froze MACV strength. With the capture of Ban Me Thuot and the Central Highlands by North Vietnamese forces in late March 1975, the disastrous retreat by the ARVN had a profound effect on the South Vietnamese troops and civilians around Huế, Quang Tri, and Trek Da Nang. Conflicting orders from Saigon caused confusion, lowered morale, and led to troop movements which defied any logic. As rockets and artillery fire began to hit Da Nang Air Base on March 28, the 1st Air Division was ordered to evacuate. Those ARVN soldiers who did not desert to assist their fleeing families, but instead chose to stand and fight, were overrun. The troops who somehow managed to escape capture then joined the crazed mob attempting to leave Da Nang on anything that floated. Chaos ruled the streets of Da Nang Easter weekend 1975 as military deserters armed with their combat weapons attempted to dictate the terms of their departure. Before the weekend ended some of the most disciplined members of the armed forces would use their weapons against their countrymen in order to gain passage from Da Nang. At the Da Nang airport, a Boeing 727, against the advice of many pilots, landed on 29 March in an attempt to evacuate some civilians, and was met by about 300 South Vietnamese soldiers, armed with rifles and grenades, who forced their way aboard the jet. Other people, seeking to flee the beleaguered city, lay in front of and under the airplane to keep it from leaving. The transport, operated by World Airways, was mobbed by soldiers as it taxied off the runway to the ramp. At least one soldier was seen firing his pistol at the cockpit. The jet finally took off. To avoid destruction, it took off from the taxiway rather than from the runway; the pilots found the runway jammed with people. A big part of one wing-flap was damaged when it reached Saigon. The pilots said after landing that the damage had been done by a grenade. Aviation authorities, however, said it appeared that the damage was due to an obstacle in the path of the airplane’s wheels, not to an explosion. The pilots said they knew of no deaths resulting from this. But aviation experts said after talking to passengers and stowaways on the airplane that between 20 and 30 persons had probably been killed—some run over on take-off, some dropping away from the wheel wells and the cargo hold. The aviation authorities said the body of one soldier had been found in a wheel well on arrival at Saigon; others on the flight said that unknown numbers of others had dropped off the airplane in flight. It was the last western aircraft to leave Da Nang Airport prior to the seizure of the airport by Communist forces. 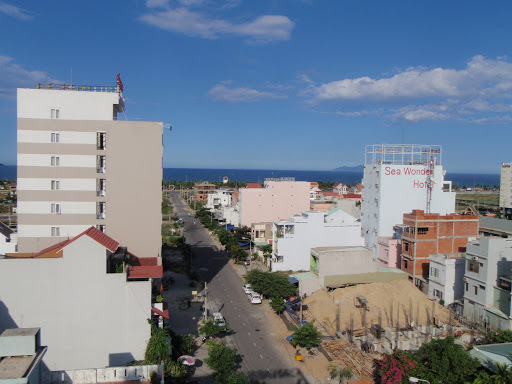 By March 30 one of the largest cities in South Vietnam and its huge airfield were under communist control. Approximately 130 South Vietnamese military aircraft managed to evacuate but over 180 were left behind along with huge stocks of fuel and ordnance. Abandoned by the South Vietnamese Air Force were thirty-three new Cessna A-37 Dragonfly ground attack aircraft; F-5 Tiger II fighter-bombers; Bell UH-1 Huey helicopters of several configurations, and other aircraft, most of which were captured intact by the Communist Forces. Coming so soon after the loss of Kontum and Pleiku, the fall of Da Nang caused widespread panic and desertion within the South Vietnamese armed forces. The North Vietnamese, sensing that victory was theirs, deployed their reserves and immediately began pushing south along the coast in what was known as the Ho Chi Minh Campaign, the final push toward Saigon. The 1973 cease-fire agreement in Vietnam signaled the end of the American advisory effort in that country. The senior officials of DAO scrupulously avoided any offer of operational advice to the Vietnamese with whom they worked intimately and continuously. The technical assistance provided by the military and senior civilian officials of DAO and by the contractors was essential to the RVNAF’s modernization and expansion, but the South Vietnamese military would get no advice on military operations, tactics, or techniques of employment. In 1964, the United States secretly agreed to supply a few Martin B-57Bs jet tactical bombers to the South Vietnamese Air Force. The United States had initially been reluctant to equip the Vietnamese Air Force with jet aircraft, since this would be a technical violation of the Geneva Accords and might further escalate the war. However, the US had already equipped other friendly nations in the region with jet aircraft, and pressure from the government leadership in Saigon coupled with a need to boost the sagging morale of the South Vietnamese people, led to a change of heart. The first VNAF B-57 crews began training in secret with 405th aircraft at Clark AB later in 1964. One of the students was none other than Nguyen Cao Ky, the commander of the VNAF and later president of the Republic of Vietnam. As the crews completed their training at Clark, they went to Da Nang Air Base and flew combat missions with the USAF 8th or 13th Bombardment Squadrons, whichever happened to be on station at the time. To gain combat experience, each new crewmember flew with an American pilot or navigator, whichever the case may be. Eventually, the VNAF crew members flew in VNAF-marked B-57s, but their combat missions always remained strictly under USAF operational control. 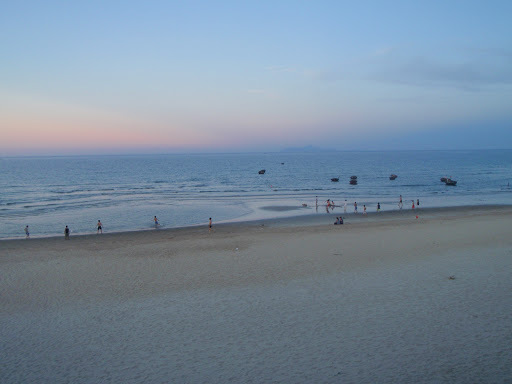 Da Nang Air Base was one of the four air bases inherited from the French at the conclusion of the French Indochina War and the formation of the Air Department, Republic of Vietnam Armed Forces on 1 July 1955. At the time of its creation, however Torane Air Base, as Da Nang AB was called at the time, was devoid of any military aircraft. The VNAF having some training aircraft at Nha Trang AB and an air depot at Bien Hoa AB. There were also a few C-47 Skytrains at Ton Son Nuht Airport. In 1961 North American T-28 Trojans arrived at Da Nang in a fighter-bomber configuration and formed the nucleus of the 516th Fighter Squadron. By 1963, the 41st Tactical Wing had been formed at Da Nang, the 516th Fighter Squadron equipped with T-28s, the 213th Helicopter Squadron with H-34 Choctaws and the 110th Observation Squadron with O-1 Bird Dog observation aircraft. Da Nang Air Base (1957–1975) was a Republic of Vietnam Air Force (VNAF) facility. The United States used it as a major base during the Vietnam War (1959–1975), stationing Army, Air Force, Navy, and Marine units there. The APO for Da Nang Air Base was APO San Francisco, 96337. Known as Tourane when it was under French influence, Da Nang Air Base was the most northerly major air base in the Republic of Vietnam. The base was located in the northeast coastal area, 85 miles (137 km) south of the Demilitarized Zone where the 17th parallel separated the two Vietnams. It is best remembered by the Vietnamese as the strike base from which the Vietnam Air Force (VNAF) made its first strike into North Vietnam, on February 8, 1965, with a squadron of Douglas A-1 Skyraiders. The air base began in November 1957 as Air Force Support Base 4, providing logistics support for that remote part of the country 400 miles (644 km) north of Saigon. 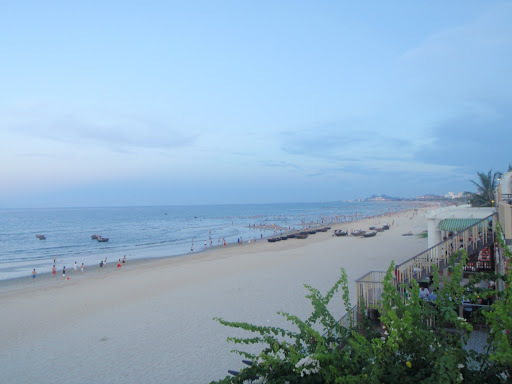 Situated on flat, sandy ground on the south side of the major port city of Da Nang, the area was ideal for an airfield, having unobstructed approaches to its north/south runways. Once little more than a provincial airfield, the base expanded to 2350 acres (95 1 hectares) with two 10.000 ft (3048 m) asphalt runways with concrete touchdown pads, parallel taxiways, and a heliport. It was under the control of the VNAFs 41st Wing, which was established there on January 1, 1964 as the major Vietnamese air element in I Corps. The base became a joint operating airfield when U.S. Forces came to the aid of the South Vietnamese. As the number of VNAF units at Da Nang continued to increase, so did those of the USAF, and U.S. Marine air units swelled the capacity of the base beyond its limits. Covered and open aircraft revetments were constructed on concrete and asphalt parking aprons. In addition to these permanent assigned combat units, the airfield was an on-and off-loading port for the huge C-141s, C-5s, and contract commercial flights of the Military Airlift Command, as well as a civil terminal for the various domestic airlines. Da Nang became the world’s busiest airport in the single runway category. In the mid-1960s, 1,500 landings and takeoffs were recorded on peak days, besides having two extra traffic patterns for helicopters at the edge of the airstrip. 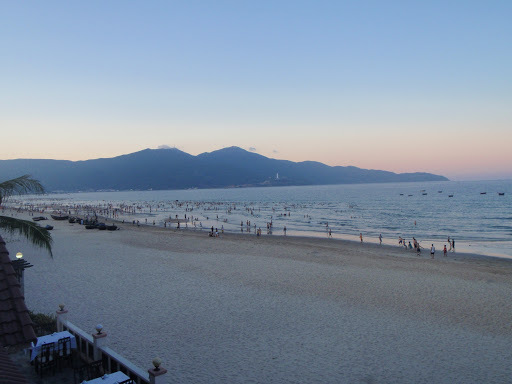 When a parallel runway was added in 1966, Da Nang rivaled Tan Son Nhut as the world’s busiest airport. By 1968 an average month saw the number of takeoffs and landings of fixed-wing aircraft exceeding 55,000. With helicopter activities added, the figure approached 67,000. During the winter monsoon at least 4500 of these landings were normally ground-controlled approaches. For the air war over North Vietnam, trek Da Nang was considered the most suitable diversionary airfield in case of emergency. Landings of this nature became commonplace for Thailand-based USAF fighter bombers. reconnaissance aircraft, strike aircraft from the Navy aircraft carriers stationed in the South China Sea, and damaged aircraft of all air units stationed throughout South Vietnam.